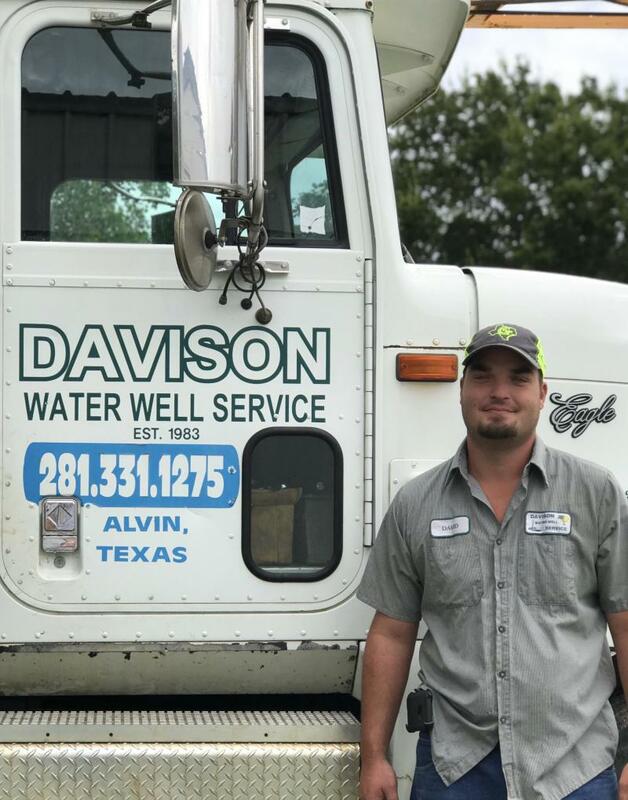 John Davison- Owner/ Master Driller & Pump Installer: John began working in the water well industry in 1977 and started his business with one word in mind, integrity. He built his business from the ground up, starting as a sole proprietor with a single drilling rig and a commitment to quality work. His reputation in the community has allowed his business to grow. 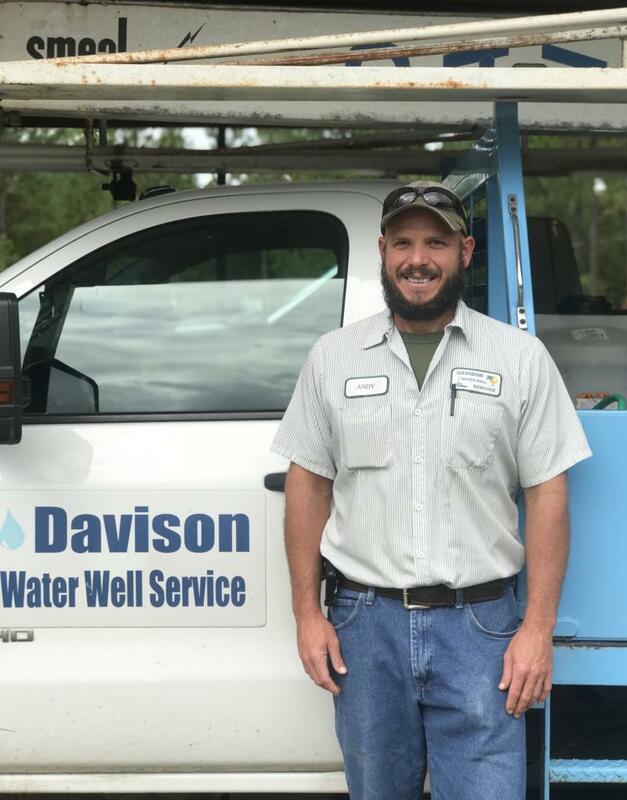 As a licensed Master Driller, Master Pump Installer and Class 3 Water Filtration specialist, John is a true water expert. He is very active in his church, community and a current member of the Alvin/Manvel Chamber of Commerce. John has been a resident of Alvin since 1972 and resides here with his wife/co- owner, Rebecca, and 8 of their 12 children. Rebecca Davison- Owner/ Office Manager: Rebecca has been an office manager for over 20 years and has a true passion for helping customers. She works tirelessly to ensure expectations are exceeded. Her knowledge and background of the water industry make certain customers are informed and being given the best recommendations. She is also responsible for all financial and regulatory operations of the company, while taking excellent care of the team of Davison Water Well staff. Rebecca is also a loving mother to 8 young children and still finds time to be active in her church and community. John (Andy) Davison- Service Manager: Andy literally grew up learning about all thing water. As John’s son, he has been taught from an early age about integrity. He brings years of knowledge and experience to all service related needs, and no issue is outside of Andy’s expertise. Andy proudly served his county as a United States Marine with two tours in Iraq. He is very involved with Veteran programs in the community, and is a resident of Pearland. David Snyder-Drilling Manager: David has over 15 years of drilling and water well experience and is a licensed drilling apprentice. His unrivaled work ethic and commitment to quality will ensure a great outcome for all his customers. David resides in Pearland with his wife and children and is active in his church and school comminutity. 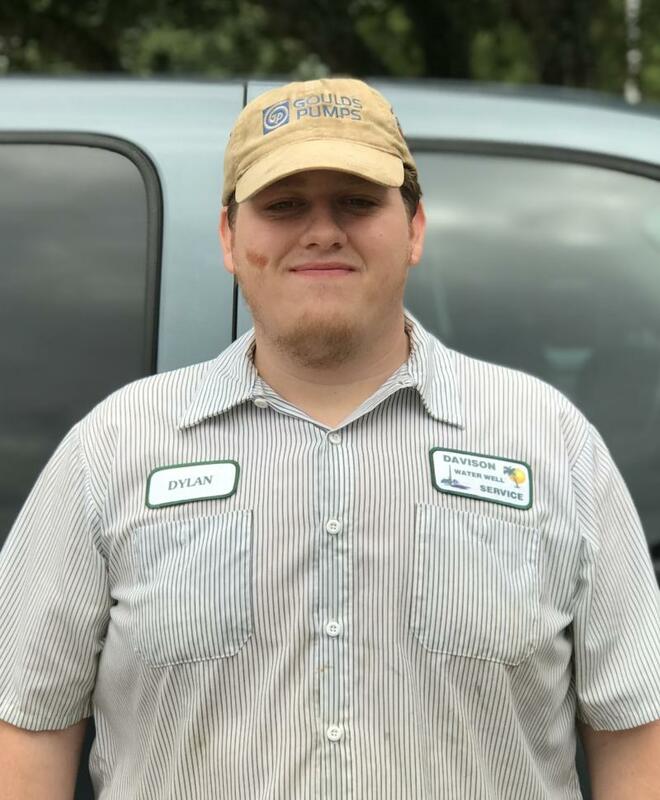 Dylan Kimbell- Service & Drilling Assistant: Dylan is the newest member of the Davison Water Well team. His positive attitude and eagerness to help make him a great addition to any job crew. Dylan is a lifelong resident of Alvin.